For those of us who are not as well travelled as some I have decided to set a new challenge modelled on the 'Where was this taken' challenge. All you have to do is identify what the photo represents. The first person to get it correct posts their own photo for others to guess and so on. Please make the photos of everyday objects - nothing too obscure. To start things off here is photo for you to guess - good luck! D'ya mean a sort of 'what is it' challenge? Great idea - I'd been pondering along those lines myself actually 'cos I like 'what is it' threads. Dunno what it is but I'm cranking my brain into gear and having a think about it. 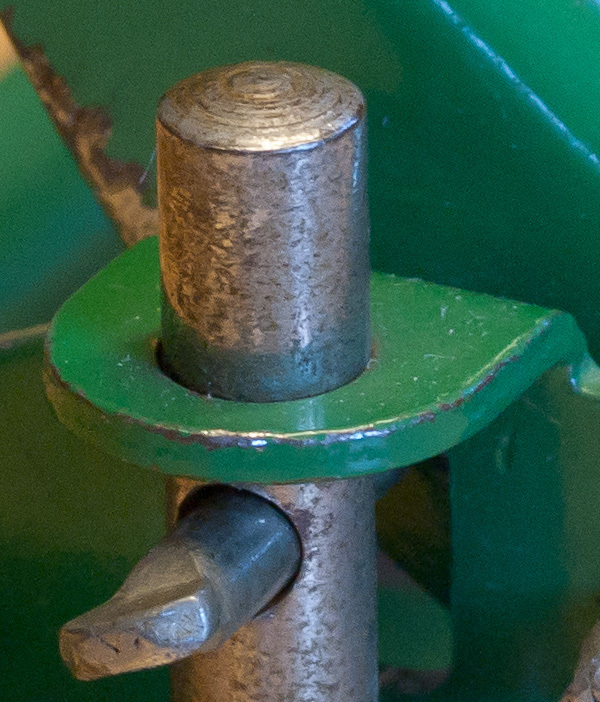 A pivot pin for a piece of farm or yard equipment, perhaps? Its a metal dooflip, my granny had one. You mean a meat grinder, David? Dunno what we'd do without a dooflip! Whatever they are! 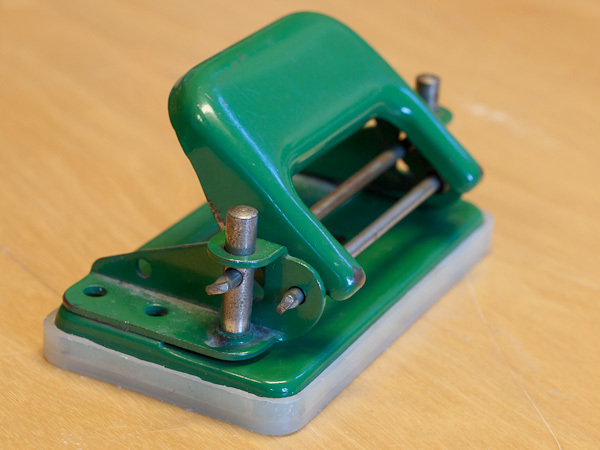 Ah, now, I think I've got it - is it part of a hole punch? Julia is away at the moment, so in the interests of not delaying things, I can happily confirm you are right! Now it's your turn, David! I was so proud of myself at guessing that last picture that I forgot I'd then have to post one myself! is it a clasp on a bag or purse? PS this is better than the guess the place comp! Well done, David, spot on. Here is the whole photo. Going to have a good think about your photo.